WEST LAFAYETTE, Ind. 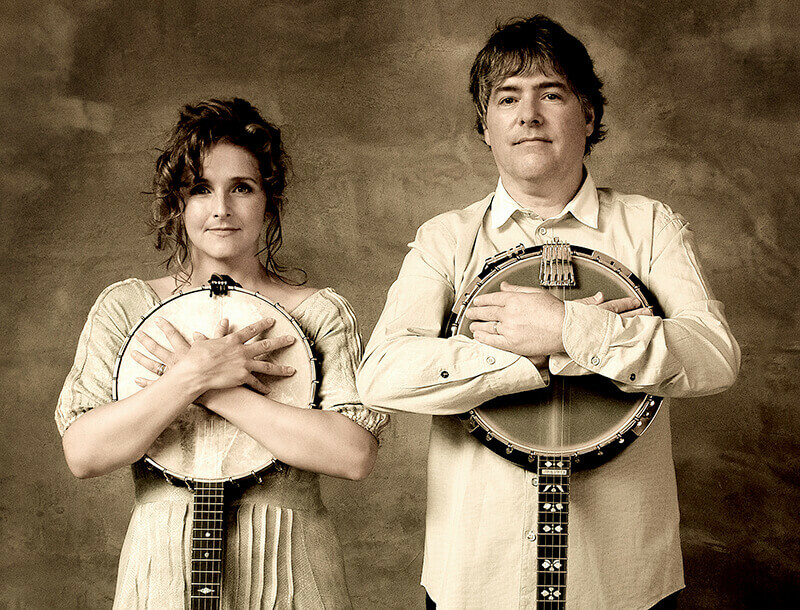 – Grammy winners Béla Fleck and Abigail Washburn will bring their acclaimed banjo sound to Purdue University at 8 p.m. Feb. 8 for a performance in Stewart Center’s Loeb Playhouse. This performance is presented by Purdue Convocations with support from the Davis Family Endowment, Great Harvest Bread Company, East End Grill, Hampton Inn, the Purdue Student Concert Committee and the Student Fee Advisory Board. Before the show, join musicologist Daniel Guberman in the Purdue Memorial Union’s 1869 Tap Room at 7 p.m. for a discussion about the evening’s performance. Fleck is a 15-time Grammy-winning virtuoso of experimentation and Washburn a singer-songwriter and clawhammer banjo player inspired by Far East culture. They met at a square dance before collaborations, courtship and getting married. Together, they’ll perform pieces from their 2016 Grammy-winning self-titled debut and 2017’s “Echo in the Valley,” which “AllMusic” called “kinetic, creative and deeply satisfying.” With one collective eye on showcasing banjo heritage and the other on new, unique musical realms, Fleck and Washburn’s sound feels both wildly innovative and warmly familiar — a pickin’ partnership unlike any other. Tickets are $32 for adults and $22 for persons 18 years and younger, Purdue students and Ivy Tech Lafayette students. Tickets are available at the Stewart Center box office at 765-494-3933 or 800-914-SHOW. Group tickets are also available to groups of 10 more. Call 765-494-3933 for more details or visit https://purdue.edu/convocations/group-sales/.